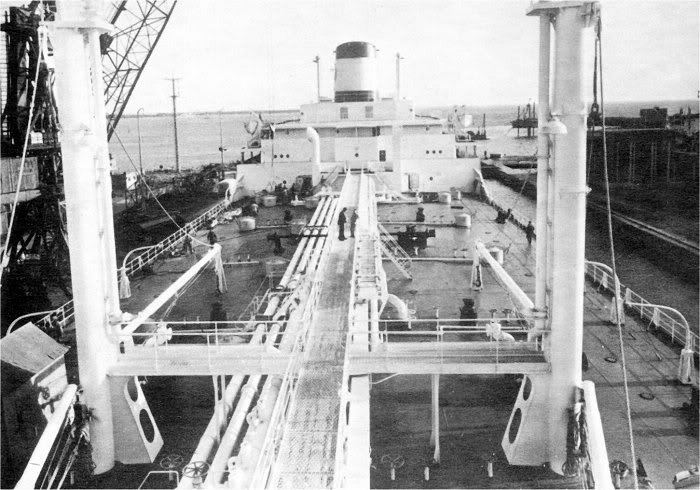 The first "Esso Parentis" was build in 1958. Chantiers de L’Atlantique yard in St.Nazaire. 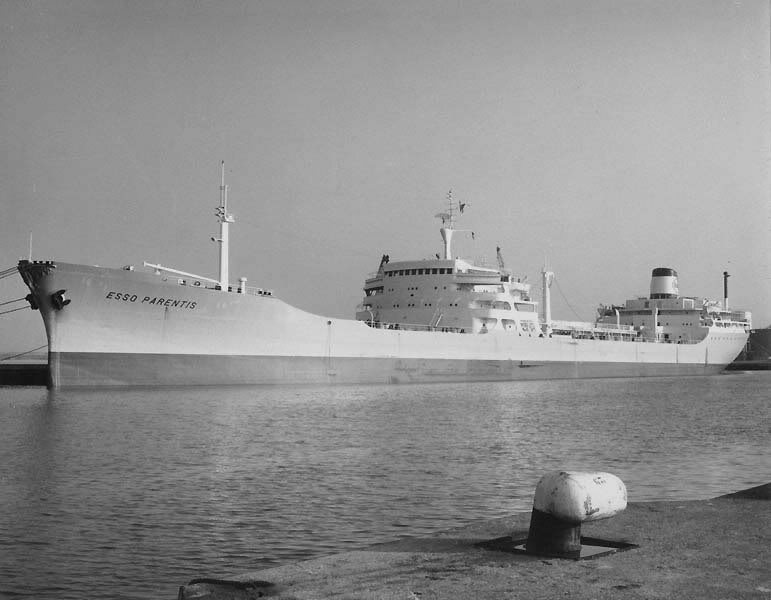 On 06.11.1977 she arrived at Kaohsiung (Taïwan) for breaking up. Draught (loaded) : 10,71 m.
Depth in hold : 14,35 m.
Power : 17 500 HP. Capacity : 51 500 m3. Crew : 14 officers, 35 petty officers and seamen. 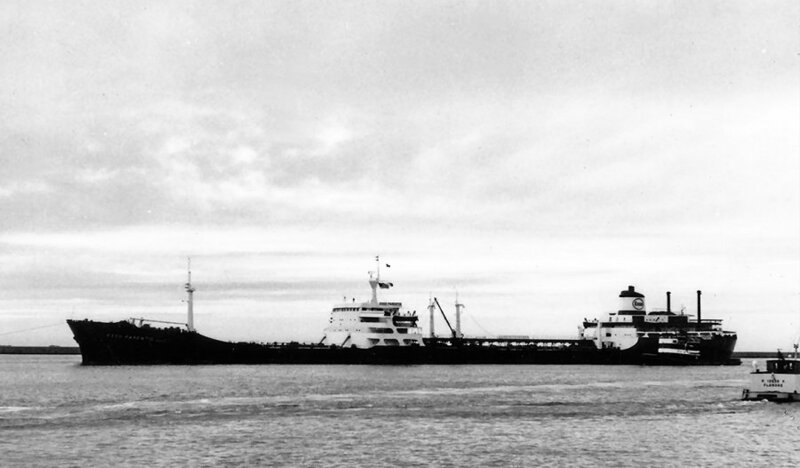 The Miramar Ship Index for "ESSO PARENTIS"
ESSO PARENTIS (l) (1958- 1971) F.O.T.I. 25246 g. 14644 n. 37756d. ; 212.80 oa-201.56 pp x 28.81 x 14.36 meters (10.75 draught). Dr geared to screw shaft by the shipbuilder. 17.75 knots. as ESSO PARENTIS for Esso-Standard SAF, Le Havre. 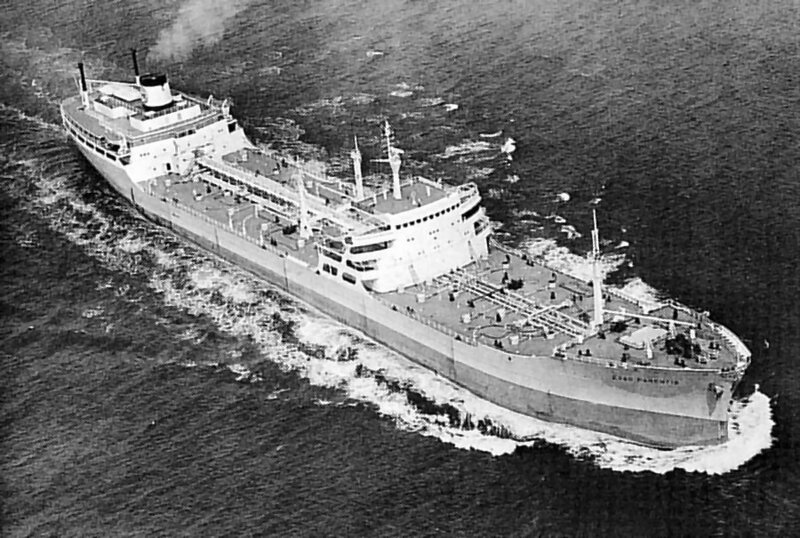 1971 : sold to Esso-Tankers Inc., Liberia. 1977 : sold for breaking up to Far East breakers. 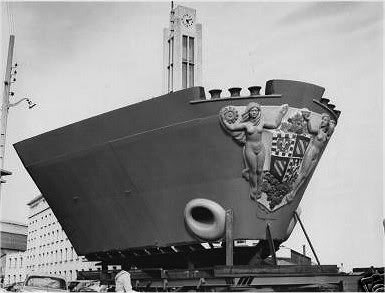 11.09.1977 : passed Panama Canal en route for the breakers. Prior to 06.11.1977 : arrived at Kaohsiung (Taïwan) for breaking up. 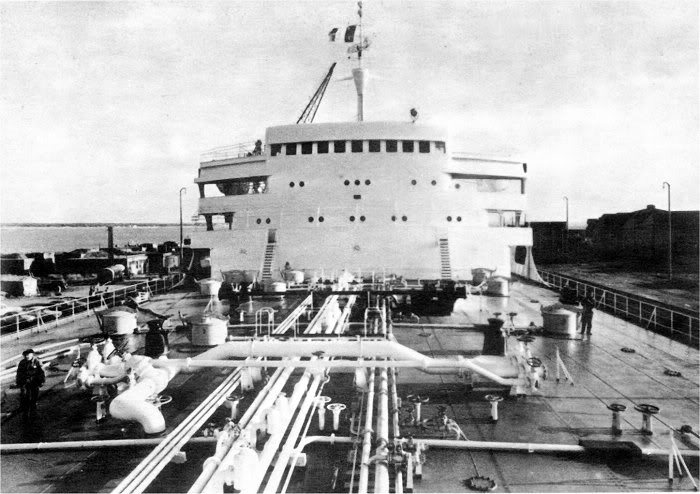 Sisterships: ESSO ALSACE. ESSO LORRAINE, ESSO BOURGOGNE.